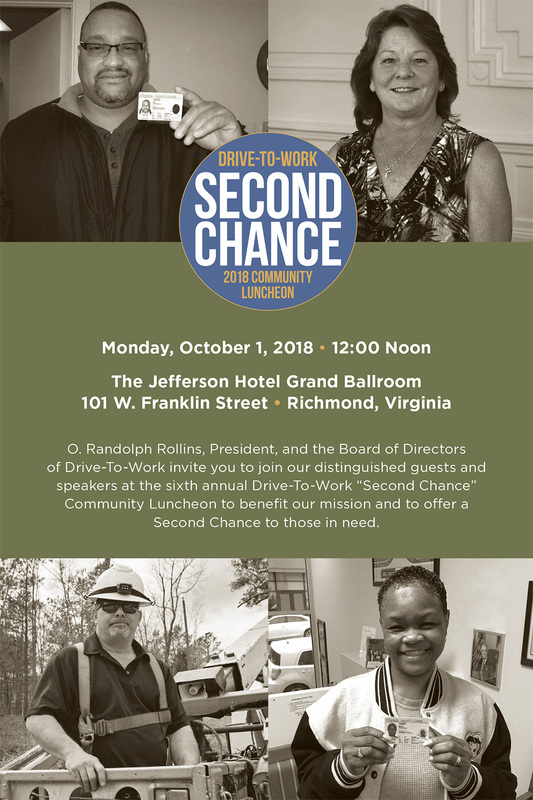 O. Randolph Rollins, President, and the Board of Directors of Drive-To-Work invite you to join our distinguished guests and speakers at the sixth annual Drive-To-Work "Second Chance" Community Luncheon to benefit our mission and to offer a Second Chance to those in need. Our Keynote Speaker will be Mr. John W. Snow. Mr. Snow is the current Chairman of Cerberus Capital Management LP, former Secretary of the U.S. Treasury (2003-2006), former Chairman and CEO of CSX Corporation, as well as other previous government and private business assignments.